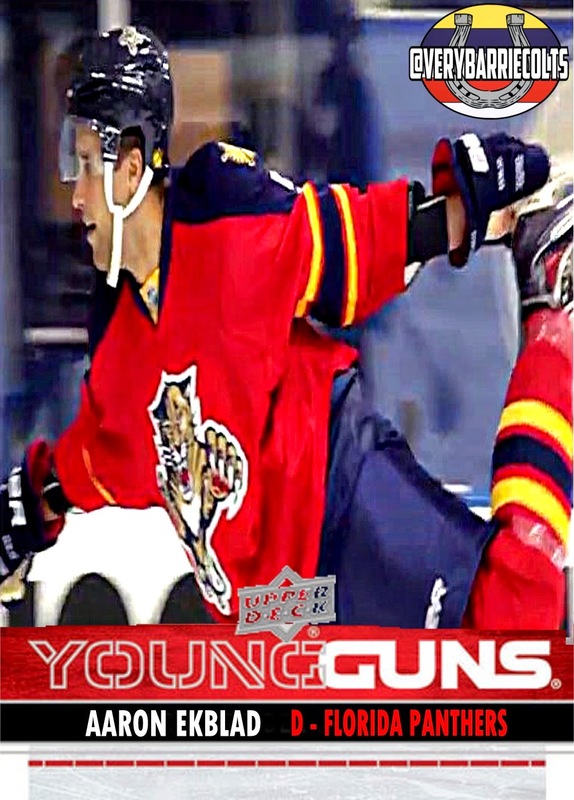 Check out @Ekblad5FLA and other Rookies.. Figure skating? (with Ekblad Figure Skating Card) #NHL - Very Barrie Colts | A website covering the Barrie Colts of the OHL. Former Barrie Colt captain Aaron Ekblad, Sam Reinhart, Sam Bennett, and other NHL rookies took part in NHLPA Rookie Showcase. What that is is just a week long event where the NHL showcase and get photos of rookies in action for trading cards for Upper Deck. At the event, they had players take a shot at figure skating. Before Ekblad was drafted, it was said that his biggest issue was his skating. Maybe this gave him a chance to silence his critiques? Sadly, none of the pictures taken during the figure skating part of the event will be used as player cards. BUT WE HAVE YOU COVERED!